Putting more technology into the hands of students! Spring into Technology: April is Technology Month! 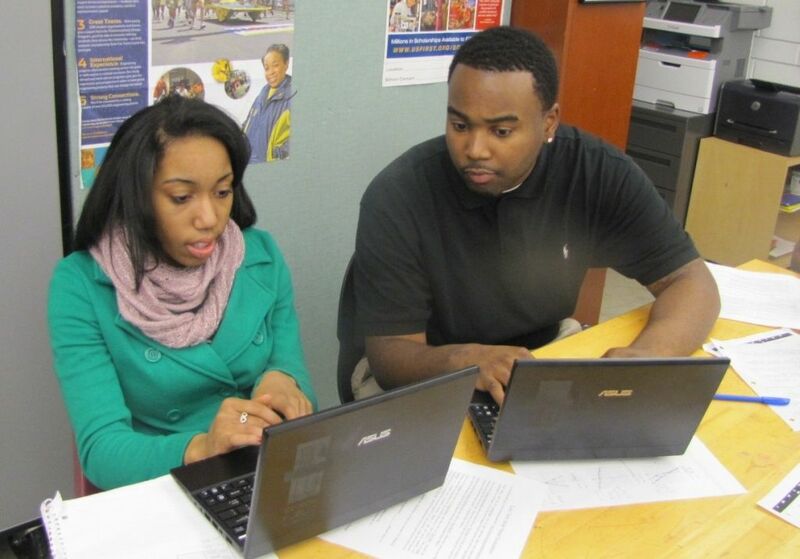 Throughout the month of April 2015, the DPSCD Division of Technology and Information Services will host the 3rd Annual “Spring into Technology: April is Technology Month” initiative! 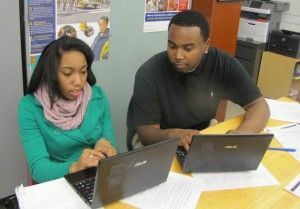 The goal of Technology Month is to empower Detroit Public Schools staff, students, parents and community members with facts and tools that will improve their understanding and increase interaction with technology information and devices used to protect and educate the children in the City of Detroit. TAKE A PHOTO IN THE TECHIE PHOTO BOOTH KIOSK! From 10 a.m. – 1 p.m. on April 29 & April 30, students who attend the fair can take fun photos in an onsite Photo Booth with immediate printouts to take home! April 29, 2015 9 a.m. – 5 p.m.
April 30, 2015 9 a.m. – 4 p.m. The 3rd Annual Technology Fair will be held April 29–30, 2015 at Randolph Career and Technical Center, 17101 Hubbell St. The event will feature presentations to teach DPSCD parents, students and community members how to use technology devices, dozens of technology vendors, interactive booths, a display of Student Robotics, information on Open Enrollment and more. Multiple Conference Sessions will also be presented by Smart, Epson, and Promethean. Principals, teachers, counselors and students are encouraged to participate in this event along with parents and the community. 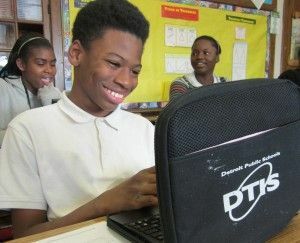 Detroit Public Schools is creating Centers of Excellence at all schools across the district with the goal of educating students to perform at the highest academic levels. Students in grades 8-12 enjoy take-home Netbooks and students in grades 6 and up have access to Netbooks in school. For the first time during the 2011-12 school year, every classroom in grades 6-12 was provided access to new Netbooks, which are small laptop computers. In the fall of 2012, students in grades 8 -12 in Title I schools were able to take Netbooks home, providing students more access to technology to improve learning and literacy. In addition, every teacher has a Netbook for classroom and home use. New Apple MacBooks, iMac computers, and iPad tablets are available in most schools. To accommodate the new technology, every classroom in the district has wireless Internet access. The district also purchased document cameras and data projectors for use in the majority of classrooms. DPSCD’s Take-home Netbook program allows approximately 19,580 students to access technology at home, vastly expanding their learning beyond the school day. The Netbook program, along with an Individualized Learning Plan for every student and an Academic Blueprint for every parent, is designed to further assist in making the connection for students between success in school and success in life. The district’s goal in providing this service is to promote educational excellence not only during school hours, but also at home by facilitating resource sharing, innovation, and unlimited communication. Access to Netbooks will enable students to complete homework assignments, explore thousands of libraries, databases, and bulletin boards while exchanging messages with Internet users throughout the world in the comfort of their own homes in a secure environment. All Netbooks, which were purchased through the American Recovery and Reinvestment Act, have LoJack tracking devices on them, and the Netbook devices are clearly marked with the DPSCD property logo. To become eligible to take Netbook computers home, all students must obtain parent or guardian permission. Both the parent and student must sign and return the Netbook Parent Consent Form and return it to your school office. For questions on the Netbook program, please call the school your student attends.